HomeWomenSarah Fergusons assistant reveals shes launching very exciting new project! Sarah Fergusons assistant reveals shes launching very exciting new project! 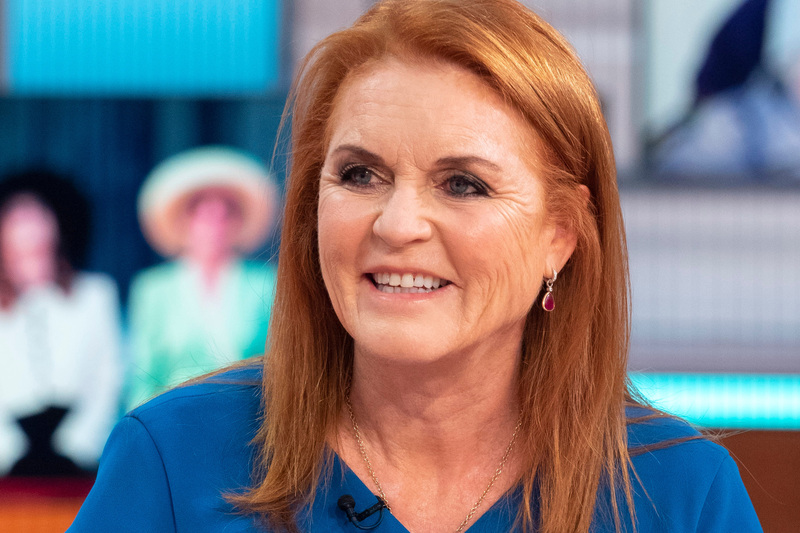 2018 was an exciting year for Sarah, Duchess of York, with the wedding of her youngest daughter, Princess Eugenie. And it looks as though her 2019 is set to be even bigger, as there have been hints that shell soon be launching her very own new lifestyle brand! Just a few days ago, Fergies personal assistant Antonia Marshall penned a message on Twitter thanking the Duchess for a Christmas gift – which she claimed has come from her new brand, Sarah Senses. The package appeared to contain a range of diffusers and scents, alongside packets of flavoured tea. Emblazoned on all of the products was also the words, Dark Nights, which seem to be the name of the scent/flavour. Alongside the pic, Antonia wrote, Thank you @SarahTheDuchess for the wonderful Christmas presents from your amazing new brand @SarahSenses, to be launched in 2019 @streetchilduk #diffuser #tea #lifestyle #homeware #scents #duchessofyork #sarahferguson #darknights #gifts #sarahsenses #magic #duchessdesigns. It looks as though the lifestyle brands products have been created in order to raise funds for a brilliant cause too – Sarahs childrens charity, Street Child, which supports vulnerable children in Africa and Asia. Its not clear yet when Sarahs exciting new project will be officially launched, as the Duchess hasnt confirmed the news herself yet. But it doesnt look as though well have long to wait! Some of the Duchess fans were delighted by the revelation, claiming they cant wait to get their hands on the products. One commented, OMG these look SO beautiful!! Its tea is it? Cant wait till we can buy these next year!!. While another said, So Awesome!!!. Its one of Sarahs first forays into the world of business. Since her divorce from Prince Andrew, the former royal has held down a varity of projects, including endorsements with Weight Watchers and beauty brand Avon. Shes also written many autobiographies and childrens books, and has been involved with a wide range of charities. So were sure her latest venture into the world of lifestyle brands will keep her as busy as ever! The post Sarah Fergusons assistant reveals shes launching very exciting new project! appeared first on Woman Magazine.